When most of us are staying inside — away from bad weather, bad people, fires or other scary stuff — police and other first responders are bearing the elements, charging in, forming a thin, human blue wall to warn us and protect us from danger. All too often, we forget about the bravery an officer or firefighter must summon each day to answer the call of his or her chosen vocation. Every few years, however, one falls in the line of duty — reminding us of the great debt we owe for their deep sense of responsibility toward providing the rest of society with peace and protection. Unfortunately, we have another reminder in Chattanooga today. 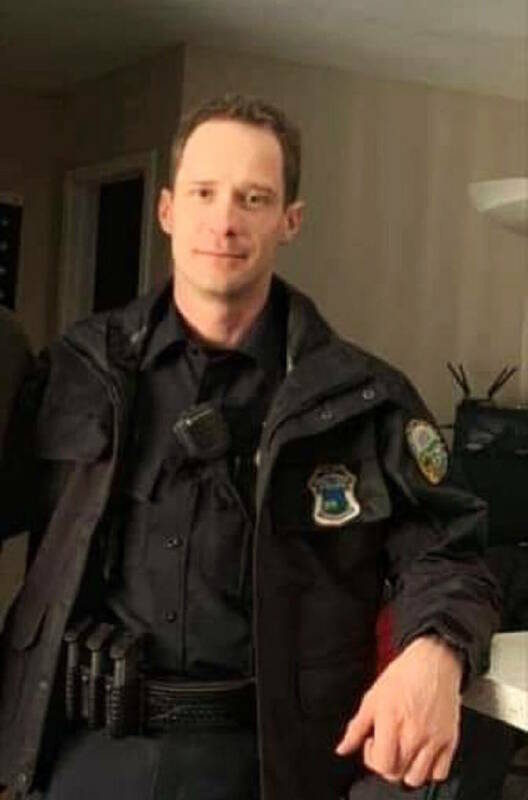 Chattanooga Police Officer Nicholas Galinger, 38, was struck and killed by a hit-and-run driver as he stood on Hamill Road in Hixson inspecting a manhole gushing water late Saturday night. Police said a driver sped through the rain at about 11 p.m., crossing the double center line and striking a warning sign placed in the center of the road. Galinger also was struck, and he died Saturday night after being taken to a local hospital. Galinger, who was from Cincinnati, Ohio, graduated from the police academy in January. His field training officer was with him when the incident occurred. "The department, this community, lost not just an officer but a son, a father, a friend and a protector," Chattanooga police Chief David Roddy said Sunday morning while announcing in a news conference that Galinger had died from his injuries. By about 3:30 p.m. on Sunday, police located a white Honda CR-V parked in the driveway of a home in the 200 block of Port Drive in Hixson. The vehicle had extensive front-end damage to the hood and a severely cracked windshield. No one answered a knock on the door. By Sunday night, the Tennessee Bureau of Investigation had added Janet Elaine Hinds, of Hixson, to its Top 10 most wanted list. The 54-year-old Soddy-Daisy postmaster was sought in connection with Galinger's death. She turned herself in to authorities on Monday morning and now faces nine charges: vehicular homicide, reckless driving, leaving the scene, failure to report an accident, failure to render aid, violation of traffic control device, speeding, drivers to exercise due care and failure to maintain lane. A judge set a $300,000 bond and ruled that if she makes bond, she will be on house arrest and cannot drive pending trial. Authorities sought a warrant for Hinds' blood and had it drawn Monday, likely testing for drugs or alcohol. Her defense attorney didn't address whether she knew the vehicle had struck anything other than a sign. Regardless of the circumstances, Galinger became the 23rd Chattanooga officer to be killed in the line of duty since 1879, and the 10th since 1975. Before him, we remember Sgt. Tim Chapin, who on April 2, 2011, was shot and killed while responding to a pawnshop robbery on Brainerd Road. On May 6, 2002, at Vine and Kilmer streets, Officer Julie Jacks was shot and killed with her own service weapon while trying to apprehend a suspect who had fled a hospital during a mental evaluation. The year before, she'd been named the department's rookie of the year. And in October 2000, Officer Richard Alexander, a Marine Corps veteran of the Vietnam War, was killed when his cruiser was struck head-on by another vehicle. The driver of the other car and a third person also were killed in the accident. Galinger also became the 21st officer to die in the line of duty nationally this year, according to the National Law Enforcement Officers Memorial Fund. The year-to-date number is one below that of 2018, when, altogether, 144 died — up from 129 in 2017. The National Law Enforcement Officers Memorial, in Washington, is inscribed with 21,541 names of officers killed in the line of duty dating to the first known death in 1791. The deadliest year on record for officers was 1930 — when 307 law enforcement officers were killed in the line of duty. The last time the number of fatalities fell below 100 for a single year was 1944. We send our condolences to Officer Galinger's family and to his co-workers at the Chattanooga Police Department. We are sorry for Chattanooga's loss. Indeed, it is our loss, as well.